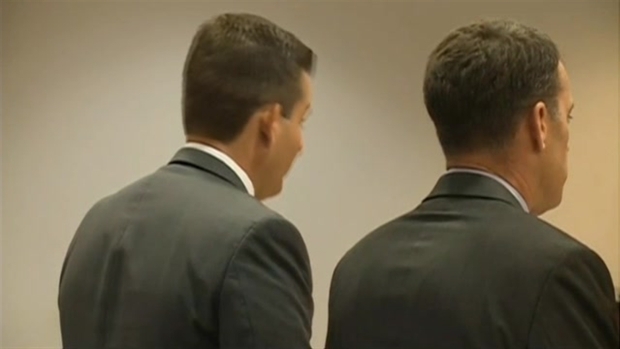 A New Hampshire state trooper caught on our TV helicopter camera beating up a man after a police chase apologized and was sentenced for his actions after entering a plea deal Thursday. The assault was caught on camera at the end of a high speed police chase through two states where the suspect, Richard Simone, appeared to be surrendering peacefully, when then-New Hampshire State Police Trooper Andrew Monaco and Massachusetts State Police Trooper Joseph Flynn began striking him. "I severely regret my actions and cannot explain why I engaged in actions I had always promised myself I wouldn't do," Monaco said in court. Monaco, now resigned from his job as a state trooper, pleaded guilty, saying his actions were not consistent with his training. 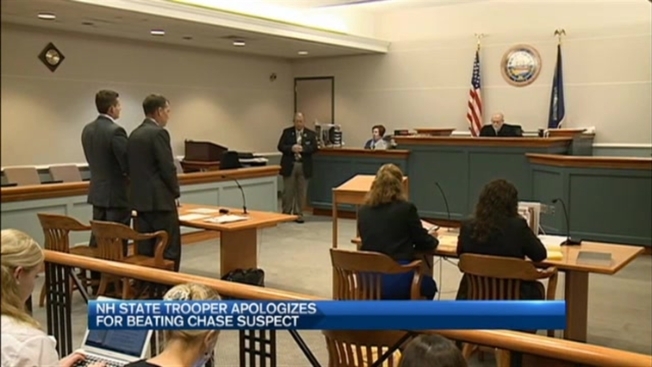 A New Hampshire state trooper involved in the videotaped beating of a man after a two-state car chase plead guilty to several charges. "I was unable to separate the events that occurred during the pursuit from my conduct during the arrest," Monaco said. As part of the plea deal, Monaco got a one year suspended sentence, meaning he will not serve any time in jail as long as he doesn't violate the terms of his probation -- including anger management classes, community service, and no longer serving as a law enforcement officer. "Officers working in law enforcement are and must be held to a high standard of conduct in every interaction with public particularly in moments of high stress," New Hampshire Attorney General Joseph Foster said. But Simone's attorney expressed his client's "frustration" with what he called a double standard for those who wear a police uniform. "The message that's being sent is that there are two sets of rules by letting this officer walk out with what he feels is a little more than a slap on the wrist," Simone's attorney Joe Comenzo said. Foster says while he wrestled with the plea deal sentence, he feels it's more than appropriate for simple assault charges. 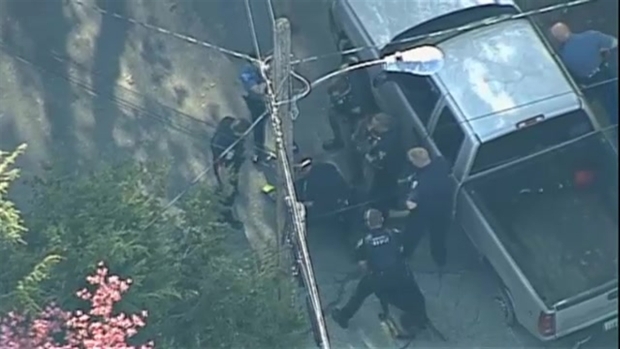 Police took a man into custody following a high-speed chase that began in Massachusetts and ended in New Hampshire on Wednesday afternoon. Some officers were seen punching the suspect after he exited his vehicle. "Losing one's chosen profession is not typically an outcome of a plea to simple assault and therefore represents severe punishment on its own," he said. Massachusetts Trooper Flynn still faces assault charges in this case, and as part of his plea deal, Monaco is expected to testify against him.